After the madness of March and Spring Break, Norman is gearing up for several jammed-packed weekends of fun events! Here is a quick rundown of some of the upcoming events happening this Spring in Norman! Grab your allergy medicine & go explore our unique community! For a complete calendar of events, please check our friends at VisitNorman.com or download their app. Jousting at the Medieval Fair. Thursday, April 26th- Sunday, April 29th: The annual Lion's Club Carnival will also be happening the same weekend as NMF in Downtown Norman on James Garner Avenue. Carnival rides, games, and more help the club raise money for their vision screening and other charitable projects in the community. 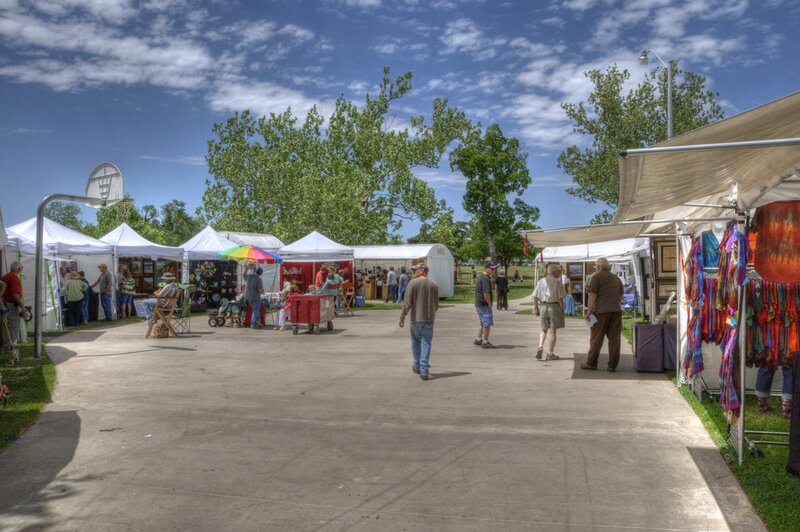 Art vendors at the May Fair. Once classes conclude, the vibe in Norman is a bit more relaxed. Chill out at the Summer Breeze events on Sunday evenings, Jazz in June, and more laid back summer celebrations. Check back with us around Memorial Day for the summer event guide!